Applaws Chicken with Asparagus is a top quality complementary cat food made using 100% natural ingredients. Each pouch is low in carbohydrates and contains 70% succulent chicken fillet that is naturally high in protein and taurine helping your cat stay happy and healthy. •	Free from artificial flavourings and additives. 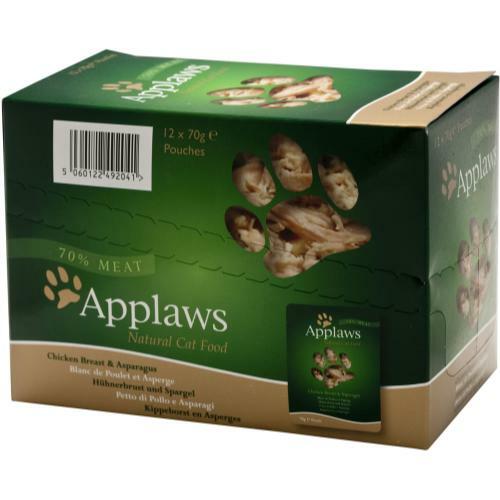 •	Applaws is a completely natural gluten free product containing no animal derivitive, by-product or cereal.